I’ve been taking it easy since I returned from Taiwan. 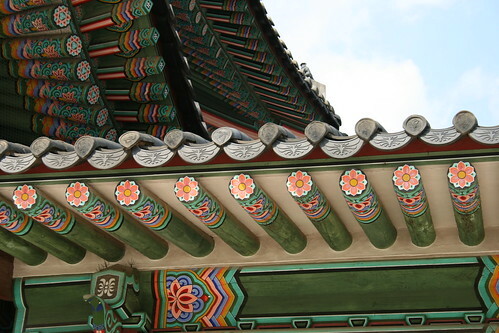 However, I am not taking for granted that I live so close to Seoul, a completely awesome city. A few weeks ago I hiked part of the city walls with some friends. The portion of the wall that we hiked offers some nice views of Gyeongbokgung and Gwanghwamun Square. In the center of the foreground (well, behind the shrubs) you can see the corner of a square; that’s Gyeongbokgung Palace. A little further, you can see a strip of grass in the middle of big roads; that’s Gwangwhamun Square, probably one of the most recognisable places in Seoul. Last, but not least, N Seoul Tower is near the top left. 4/5 of the hiking group. Missing: Heidi, photog extraordinaire. 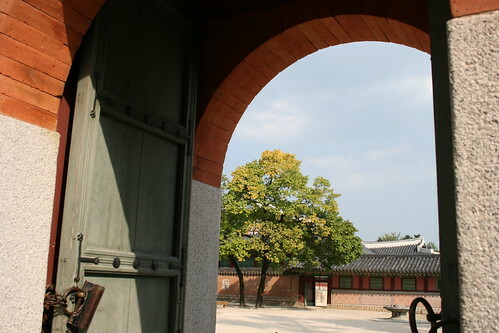 The next weekend I took another trip into Seoul to visit Gyeongbokgung Palace. 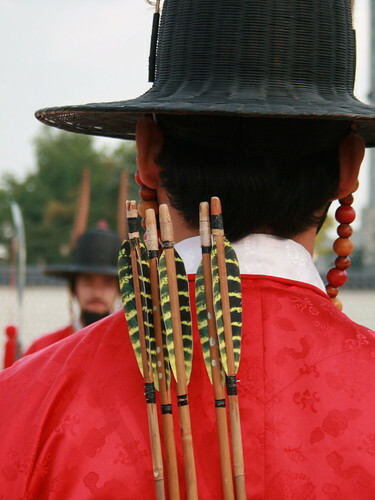 I’m not sure why I waited almost ten months to visit the Palace; it’s usually one of the first stops for visitors to Seoul. If you want to see pictures of the palace’s buildings then a Google image search is worthwhile, but here are some of the sights on a smaller scale. 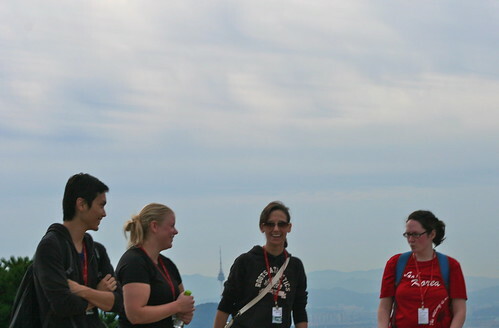 Later that same day I took the bus to the base of N Seoul Tower, atop Namsan Mountain. 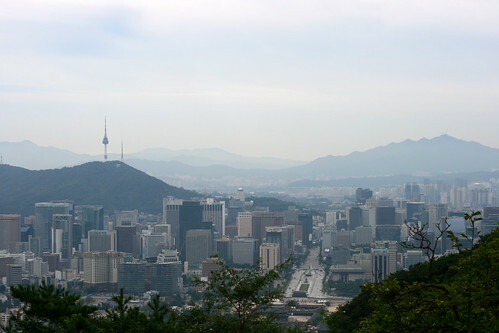 (Side note: the English name for Namsan is Namsan Mountain, even though “san” means mountain. So really, it’s Nam Mountain Mountain. Same goes with every other mountain in Korea: Bukhan Mountain Mountain, Jiri Mountain Mountain, etc.) 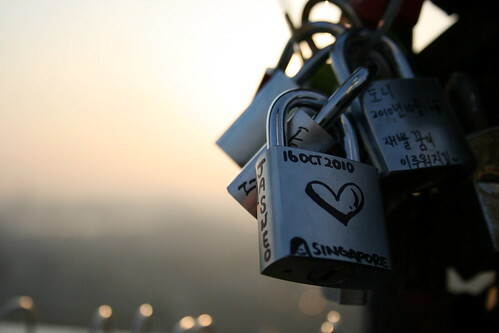 At the base of N Seoul Tower there are fences where the fad of “love locks” is becoming more and more popular. 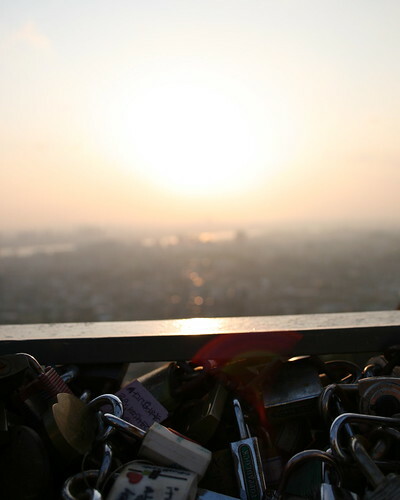 Couples put the locks on the fences to symbolize the eternity of their love. I know. I just threw up in my brain too. 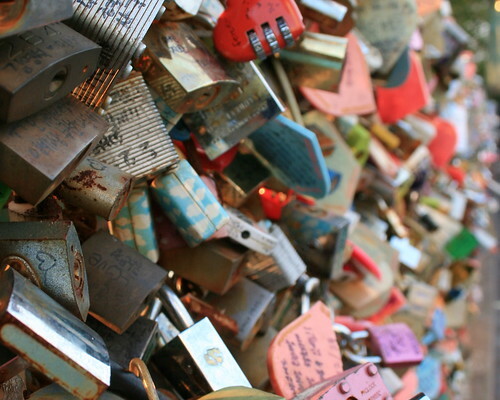 Cringing aside, it can be fun to take pictures of the locks. I have no major travels planned until I leave Korea, but I’m hoping to make use of the few weekends that I have left to take more mini trips. My year in Korea is quickly winding down and I’m starting to feel those familiar bittersweet emotions. I know that leaving Korea is the right decision for me, but it is hard to know that I will be leaving a place and a lot people that I have grown to love. Still, I have six weeks left in Korea and I plan on making the most of my time here.